Al Qaeda Calls for Attacks at Rio Olympics - Breaking Israel News | Latest News. Biblical Perspective. Al Qaeda is using social media to call on its followers to execute lone-wolf attacks on athletes at the Olympics in Rio de Janeiro, Brazil next month. The terror organization urged its followers to attack American, British, and French athletes, but especially targeted athletes representing Israel. The call for murder singles out Israeli athletes. 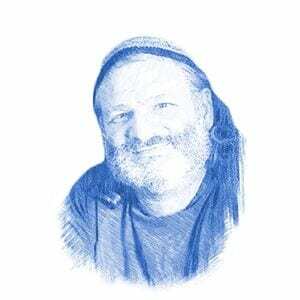 “From amongst the worst enemies, the most famous enemies for general Muslims is to attack Israelis. As general Muslims all agree to it and it causes more popularity for the Mujahideen amongst the Muslims,” they state. The site also calls for attacking spectators. Some techniques suggested are to use small toy drones with explosives attached, poisoning food. Another strategy suggested by Al Qaeda was to kidnap Israelis to be used as bargaining chips, forcing Israel to release Palestinian terrorists. The Al Qaeda sites also suggest making a scheduled post on Facebook or via email announcing the attack. The Foreign Desk also noted that some Islamist terror groups have expressed frustration at having their attacks labeled hate crimes by Western Media. “Recently, some jihadi groups have expressed concern over terrorist attacks being misinterpreted by the media as in the Orlando shooting being referred to by some as a possible hate crime targeting gays,” the news site wrote. The threat is real. On Thursday, Brazil’s police department announced they arrested 10 people and are still seeking two more for connections to the Islamic State (ISIS) via social media. The group had allegedly discussed plans to execute attacks during the Olympics next month. Justice Minister Alexandre de Moraes announced the arrests to the press. Moraes stressed that the group was amateurish, but Brazilian security was taking no chances. In light of the recent truck attack in Nice France that killed 84, caution is necessary. This call to violence at the international games was a disturbing reminder of the massacre of Israeli athletes at the Munich Olympics in 1972. 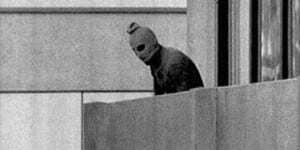 The Palestinian terror group, Black September, kidnapped eleven Israeli members from the national Olympic team. In an attempt by German police to free the hostages, the terrorists killed all the hostages and one German policeman. The terrorists received logistical help from local Germans in setting up the attack. Five terrorists were killed and three were captured. The terrorists were released a few months later as part of the negotiated resolution to a hijacking of a Lufthansa airliner. There will be a candle-lighting ceremony at the Rio Olympics in memory of the slain Israeli athletes.